David White has revealed he quit his post as Bonnyrigg Rose boss because he felt he couldn’t put the effort he wanted into managing the club. 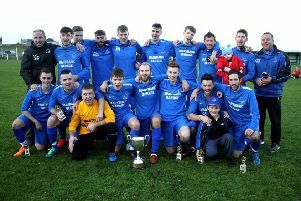 White ended his 12-month stint as manager in the aftermath of Saturday’s 2-1 William Hill Scottish Cup first-round defeat to Highland League outfit Deveronvale in what was a fruitful spell after leading the club to a league and cup double in their last season as a Junior club. The 38-year-old explained a hectic work and family life was behind his decision to leave football after finding it difficult to combine all three. 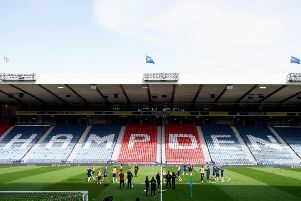 White admitted he considered quitting at the end of last season, but the lure of another potential Scottish Cup run – having been a part of their surprise journey to the fourth round two seasons ago as part of Robbie Horn’s management team – convinced him to stay on. “It’s something I’ve been thinking about for a wee while, just for different reasons, family being one of them and I’ve been a bit full-on at work as well,” said White. “I just felt I couldn’t continue to give it everything I could or wanted to without it affecting other things in my life. I felt I couldn’t give it everything I needed mentally to be able to push them on to that next level. I hummed and hawed at the end of last season about whether I was going to pack in then, but thought of the Scottish Cup and chance of a good run convinced me to stay. I was part of Robbie’s team when we did it and it was such an uplifting experience – it was something I felt that we could do again. It just wasn’t to be unfortunately. “With my work being so full-on, the football was starting to not be as enjoyable just because of so many other things going on. I gave it everything I could have and there’s been a wee bit of success in my time there, but I still feel we could have done a bit more. White, who works as assistant manager at the Fountain Spa Leisure Club, plans to take a period out of the game to spend more time with wife Lynsey and enjoy father duties with his three young girls. White continued: “It’s time for someone else [to take over]. I’m sure who ever goes in will be just as successful because the quality that is in the squad and the players’ attitude has been fantastic. I’m sure the club will go on to bigger things in the years to come. I’ve enjoyed my time and the club have been fantastic with me; I couldn’t have asked anymore from the players – they’ve been fantastic since I’ve been there. “My wife and kids have been so supportive over the last year. I’ve got plenty years ahead of me that I can take this up again when the kids are bit more grown up. The opportunity came along at a time when I wasn’t really looking for it. I just felt it was too good an opportunity to turn down at that time.